Ignite Cycle, Pepper Place’s newest health and fitness tenant, officially opened its doors on March 12. Complete with a state-of-the-art cycling gym as well as a large, chic lobby where Owner and Founder Tiffany Martin hopes riders can build a sense of community and support, we wanted to take this opportunity to introduce riders to both the space and the coaches. 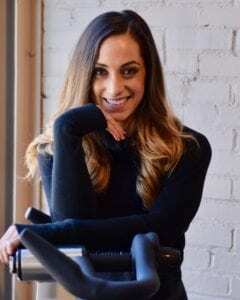 When we first met Tiffany in the Fall 2018 issue of The Place, she had a very particular vision for what Ignite Cycle would be: “A dark room, loud music, exercise bikes, and everybody moving together. 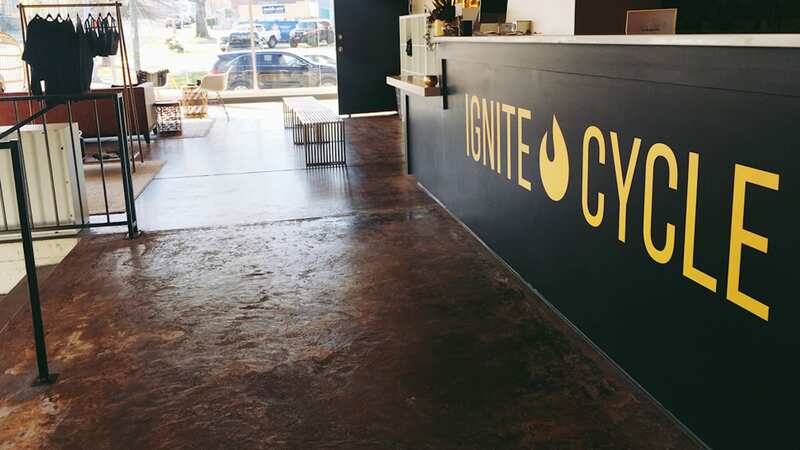 It’s like being at a wedding where everybody starts dancing the YMCA, but a lot cooler.” Now that the rubber has met the road, that’s exactly what Ignite Cycle is, and that’s exactly what’s happening. In addition to creating a place to work out, Martin also wanted to create a where riders can support one another so that working out feels like less of a chore and more of a social event. That’s why the large windowed, naturally lit, wide-open lobby is a key feature of Ignite’s culture. The woman behind the flame is fueled by inspiring others to tap into the most authentic and joyful parts of themselves. When she’s not on the IC hustle, you can find Tiffany with her hubs and two #childrenofmillennials, feeding them – exclusively – avocado toast and kombucha. 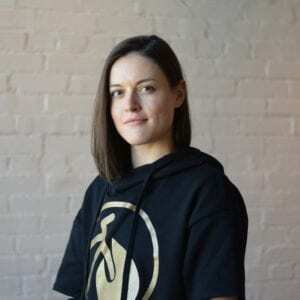 Find this joyful soul at the front desk perfecting that yin & yang life as Ignite’s resident yogi, collagen peptides dealer, and essential oil guru…but she is always down for a good sweat. You’d be hard pressed to find a heart bigger than that of this joy-filled, lifelong dancer. In the studio, you can count on her to bump your favorite throwback beats. It won’t take you long to learn that Audra is fueled by helping others. You may not expect it, but behind that bright, crinkle-nosed smile is unmatched hustle and grit. When it comes to community, for Tabby, it’s all about friendship, vulnerability, accountability, safety, acceptance. To see the schedule and to book a ride with the instructor of your choice, check out Ignite’s handy booking system. Riders can book exactly which bike they’d like to be on. 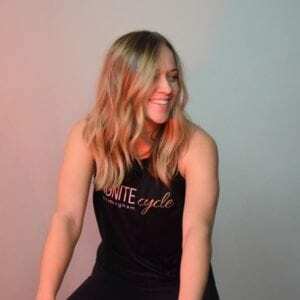 Tiffany adds that Ignite will be adding more classes in the next few months, including a 60-minute ride to really get you spinning. And, so you can hit the seat hard and hop right back into your daily grind, Ignite offers showers and private changing areas.